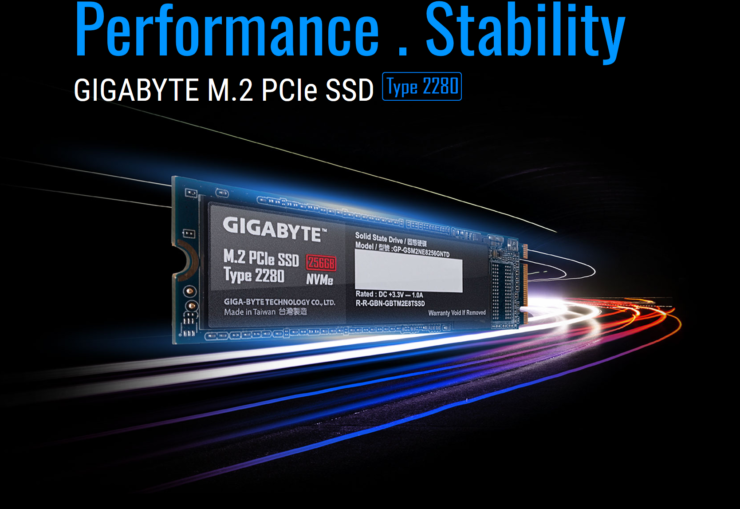 Gigabyte, one of the leading manufacturer of motherboards and graphics cards has added a new NVMe PCIe M.2 SSD to its storage linup, after the release of their SATA model earlier this year. With different storage capacities to choose from, the new SSDs adhere to GIGABYTE Ultra Durable and product stability standards, delivering highly stable and effective SSD performance. The initial batch of Gigabyte M.2 SSDs will be available in three capacities, 128GB, 256GB, and in a few weeks the 512GB size. 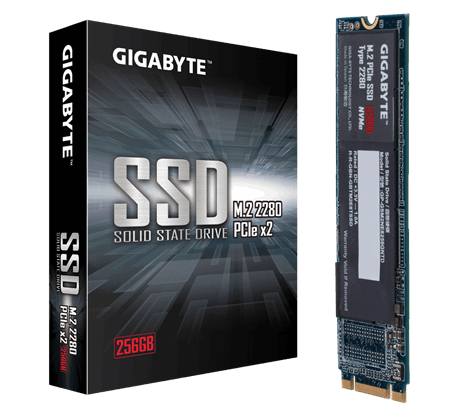 The new SSDs adopt 2280 mainstream specifications and operate by way of the PCIe Gen3 x2 M.2 transmission interface, removing the need for power and transmission cables that are used with traditional SATA SSDs. NVMe architecture allows for superior read/write speeds compared to SATA SSDs and with M.2 Thermal Guards on Gigabyte motherboards, M.2 devices offer much improved performance for the user who wants to upgrade from SATA SSDs to NVMe M.2 SSDs without breaking the bank. Gigabyte aims to provide users with stable and standout storage performance, Gigabyte has tested these M.2 various Gigabyte motherboards and workloads. The M.2 devices must undergo and clear extreme temperature and pressure stress tests to ensure their quality and durability. Jackson Hsu – Deputy Director of the GIGABYTE Channel Solutions Product Development Division. Gigabyte’s PCIe M.2 SSDs comes with a 3 year warranty. 128GB and 256GB drives are already on their way into the channel at an MSRP of $49.99 and $69.99 and 512GBs will be shipping soon.